By Bola Sokunbi. Published on September 9, 2015. When it comes to clothing, shoes and accessory purchases, I'm a firm believer in cost per wear, which I also refer to as "getting my money's worth." It doesn't matter if it's a cheap or expensive purchase. Money spent is still money spent, and I want to be sure that it's worth it. One way I determine if an item is worth the purchase is by calculating my cost per wear. Cost per wear is equal to the cost of the item divided by the number of times you wear it. Doing this calculation helps me take inventory of my closet in terms of what was a smart purchase and what wasn't. Then, it helps me make better purchases in the future. "Cost per wear is equal to the cost of the item divided by the number of times you wear it." Let's say you own a pair of shoes that cost you $250 and a designer handbag that cost you $1000. At first glance, it seems like the shoes are the cheaper buy. However, if you've only worn the shoes twice your cost per wear is $125. If you wear your handbag every day for a month, your cost per wear is ~$33. So in reality, your handbag purchase is actually the cheaper and more sensible purchase! Does this mean I'm stuck wearing the same things all the time? Feeling a little self-conscious about wearing the same thing repeatedly? The great thing about fashion is that things can be worn in so many ways. You obviously don't want to wear the same outfit to work every day or to back-to-back events, but there are several ways you can still repeat your items by using the power of the "remix." Remixing allows you to utilize your existing wardrobe to create a variety of different outfits and looks. You’d be surprised how many different looks you can whip up if you spend some time each week doing some outfit planning. Make it a fun project by creating a Pinterest account where you create outfit inspirations based on similar things in your own closet. After spending your hard-earned money on your purchases, you should most definitely make good use of them! Plus, you'll be happy to know that truly wealthy people purchase quality items and wear them well. The Millionaire Next Door is an amazing book to learn more about the truly wealthy. I'm guilty of owning things I haven't worn yet or don't wear often enough. But over the last few years, I'm definitely more aware of how I spend my money by using the cost per wear formula. What do you own in your closet with the best cost per wear? P.S. Here's another article that ties into this one: 5 Reasons I practice minimalist fashion! me things all the time? Sometimes people can be conscious about repeatedly wearing their purchases but the great thing about fashion is that things can be worn in so many ways. You obviously don't want to wear the same outfit to work every day or to back to back events with the same people in attendance but there are several ways you can still repeat your items by using the power of the "remix". Remixing allows you to utilize your existing wardrobe to create a variety of different outfits and looks. You’d be surprised how many different looks you can get if you spend some time each week doing some outfit planning. 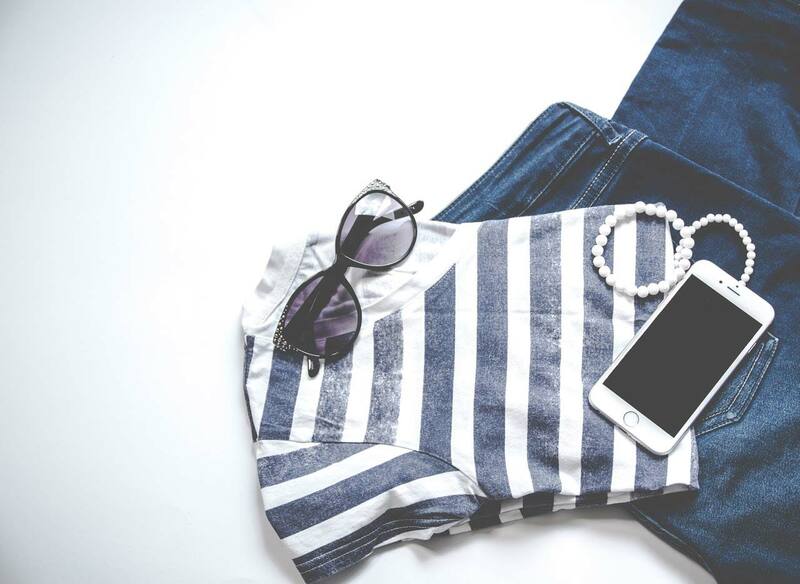 You can even make it a fun project by creating a Pinterest account where you create outfit inspirations based on similar things in your own closet. After spending your hard earned money, on your purchases you should most definitely make good use of them! Plus you'll be happy to know that the average profile of how the truly wealthy really live shows they purchase quality items and wear them well. The Millionaire Next Door is an amazing book to learn more about the truly wealthy. I'm guilty of owning things I haven't worn yet or don't wear often enough but over the last few years, I'm definitely more aware of how I spend my money by using the cost per wear formula. What do you own in your closet with the best cost per wear?